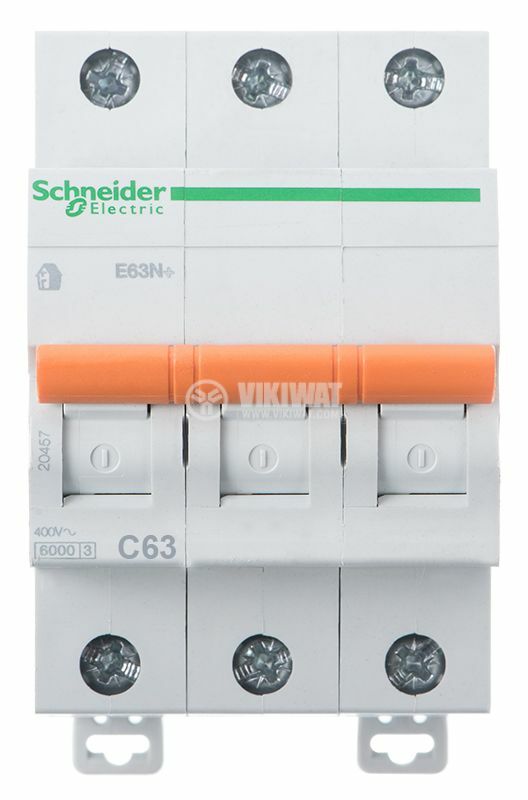 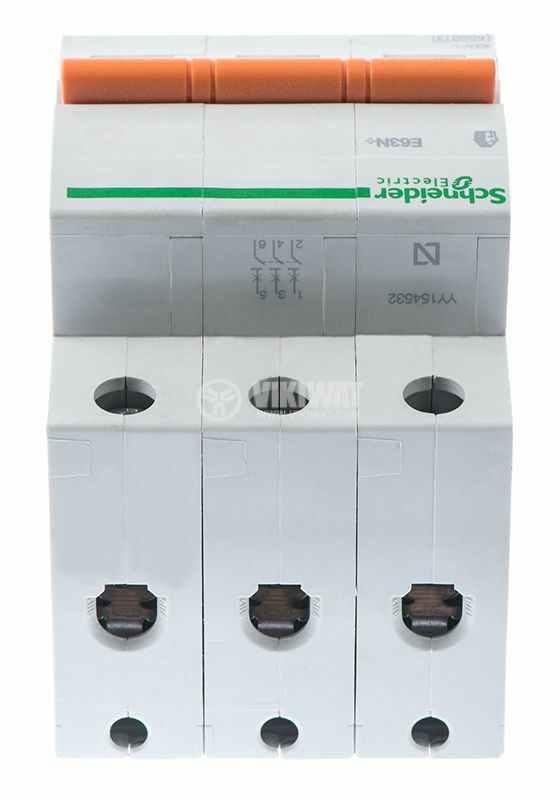 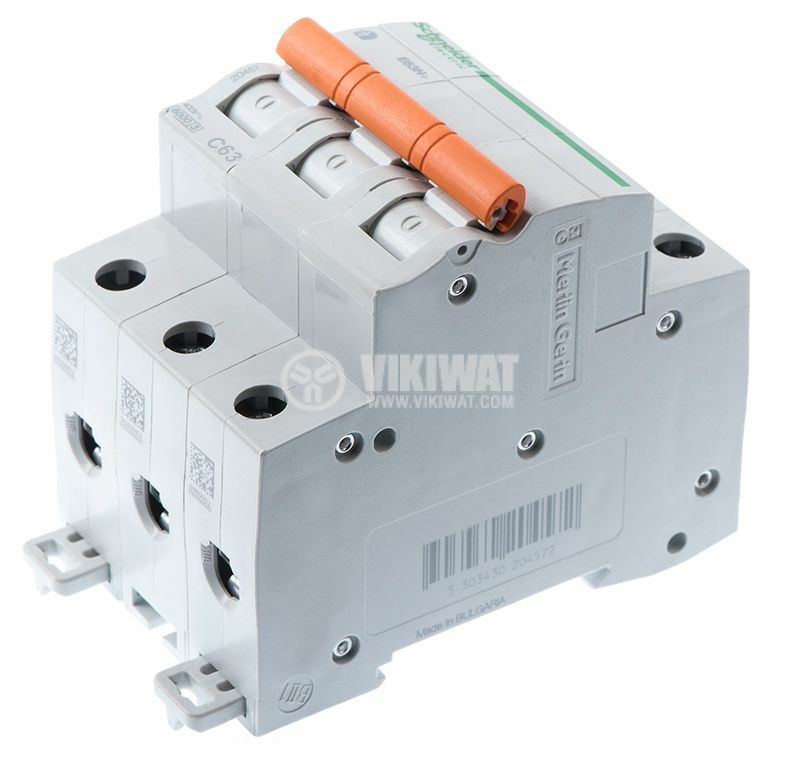 The automatic three poles circuit breaker has rated current through the contacts 63 A, rated voltage 400 VAC and a maximum short circuit current of up to 6000 A. 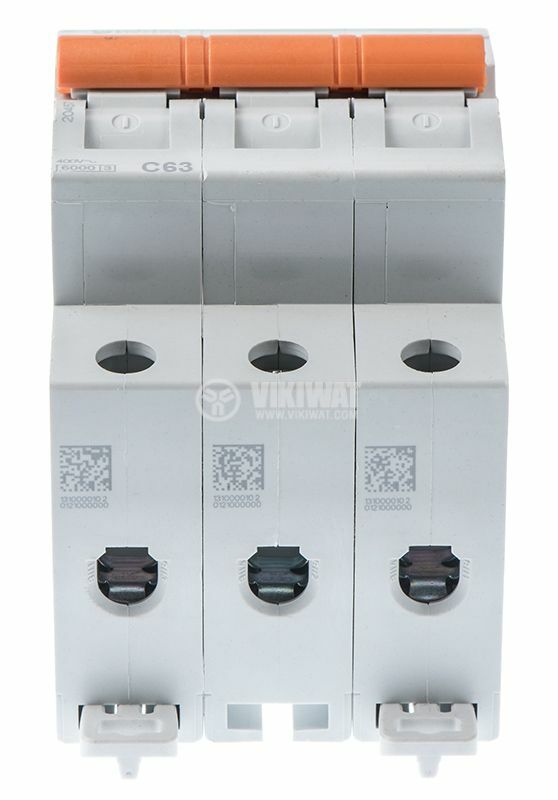 The Merlin Gerin fuses are suitable for mounting primarily on AC 50 Hz / 60 Hz circuits with a nominal voltage of 400 V. They provide the protection of electrical installations in residential and industrial buildings from overloading and short circuits. 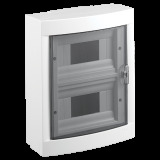 material of the casing - non-combustible, impact-resistant plastic.